WHY CHOOSE BOARDING (KENNELS OR CATTERY) FOR YOUR PET? Why choose boarding, or Kennels and catteries, for your pet? Being the most traditional petcare solution, despite the alternatives which have emerged, boarding remains the option of choice for most pet owners. There are indeed genuine advantages to boarding, which guarantee your pet’s well being during your absence. Regulatory advantages: Pet boarding establishments must comply with the licensing requirements of the relevant local authority. By complying with the licensing conditions, the boarder is able to guarantee a minimum level of service. 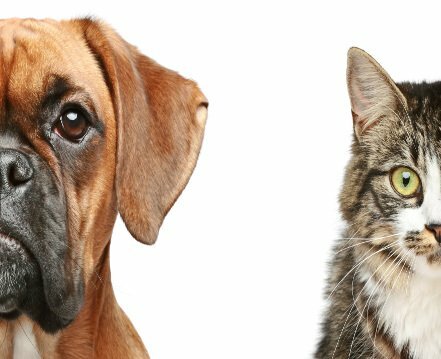 Professionals: When booking kennels or a cattery, check out the staff’s professional qualifications which enhance the staff’s ability to take the best possible care of your pet. Animal friendly premises: In order to obtain a license from the local authority, the boarder must be able to provide appropriate facilities and sufficient living space and ensure adequate hygiene and cleaning procedures. Experience: Staff should be experienced in animal care, different breeds and behaviour. As a result you can benefit from advice regarding the care of your pet. Insurance: Every pet boarding establishment should be properly insured. This insurance should include Public Liability and Professional Indemnity. In addition to the regulatory ones, there are other advantages offered by a stay in kennels or a cattery. By choosing to place your pet in kennels or a cattery, you have opted for boarding with other animals. This can be decidedly beneficial as far as your pet’s behavior is concerned. Surrounded by other animals, your pet will be able to socialise with its fellow creatures. What’s more, the animals which get on well can be exercised together, giving your pet the chance to find itself a playmate.